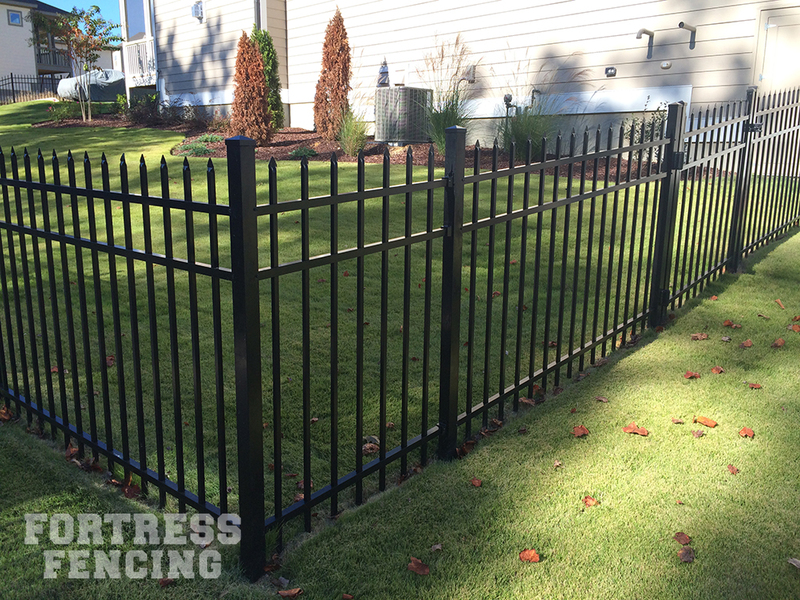 The strength of wrought iron without the maintenance! 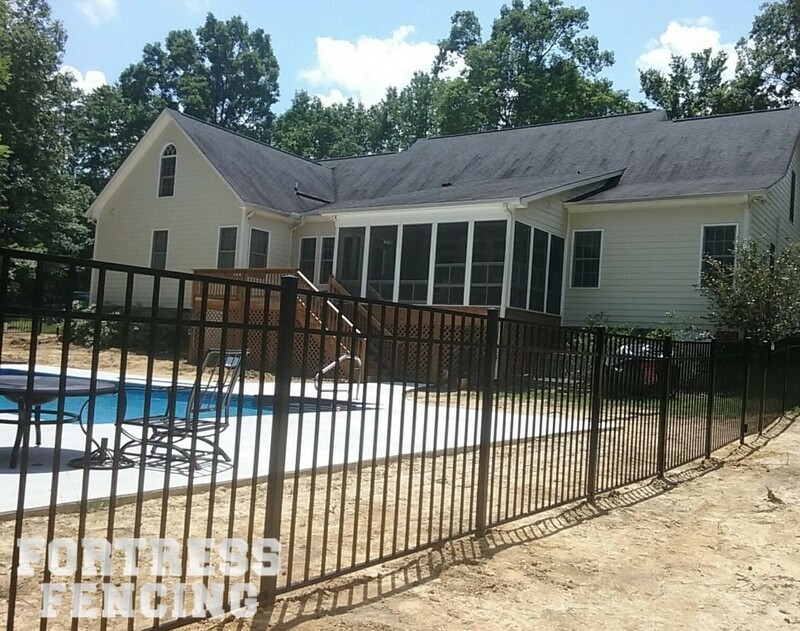 Durable and long lasting, aluminum fencing is a great option for seeking elegance and beauty as well as containment. 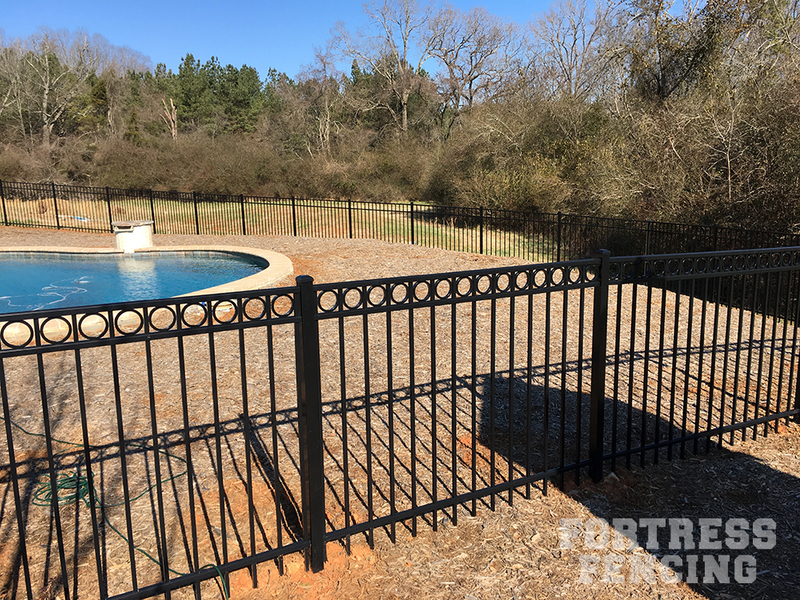 Coating of aluminum allows material to be free of peeling, chipping, or cracking. 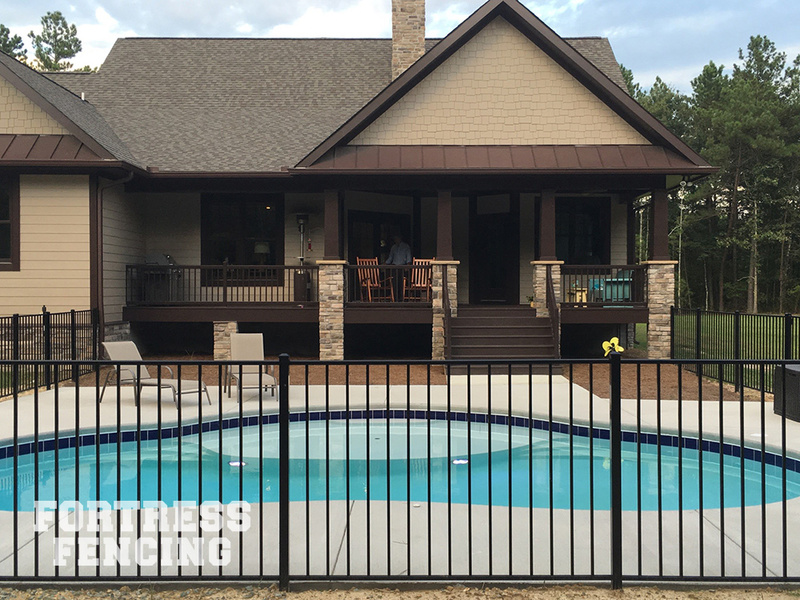 Aluminum offers little to no maintenance and is truly a lifelong investment to enjoy for years to come. 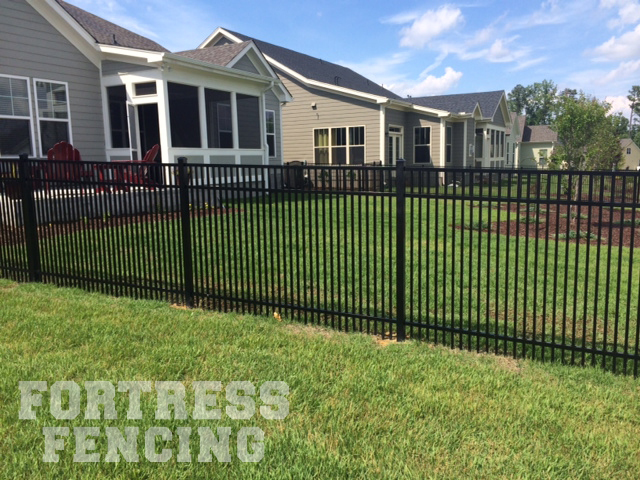 Whether using for protection or containment, we offer various styles and heights to meet your needs. 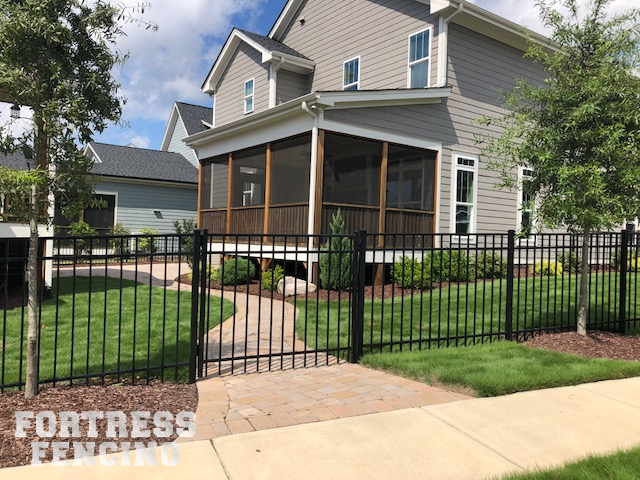 Aluminum adds class to any landscape! 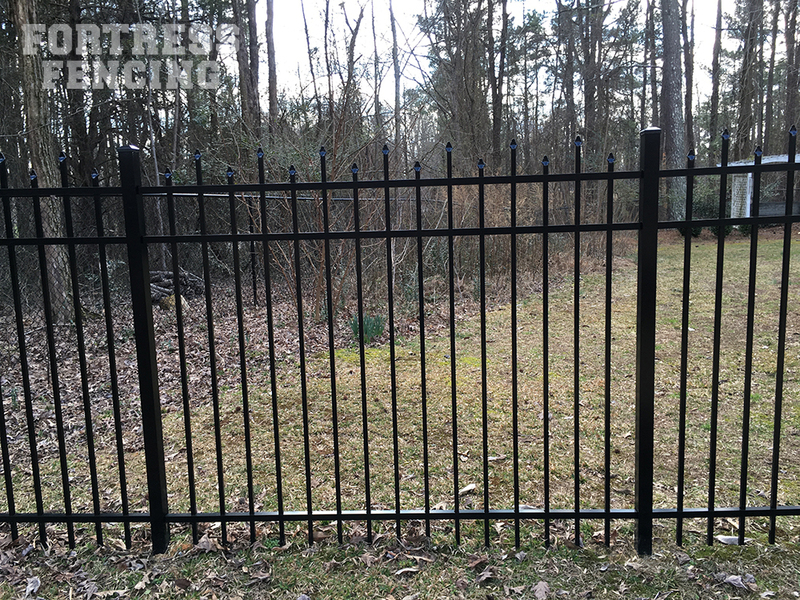 Still maintenance free, steel offers additional strength as well as 8 foot panels to add flexibility to your layout at competitive prices. 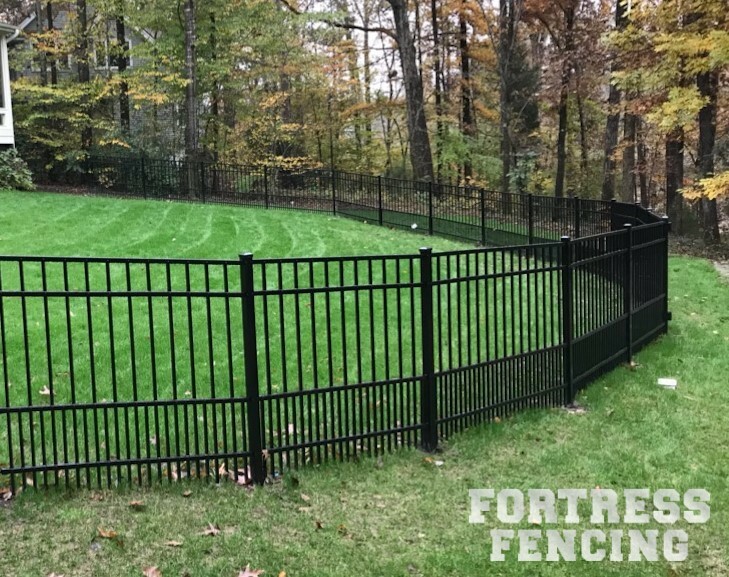 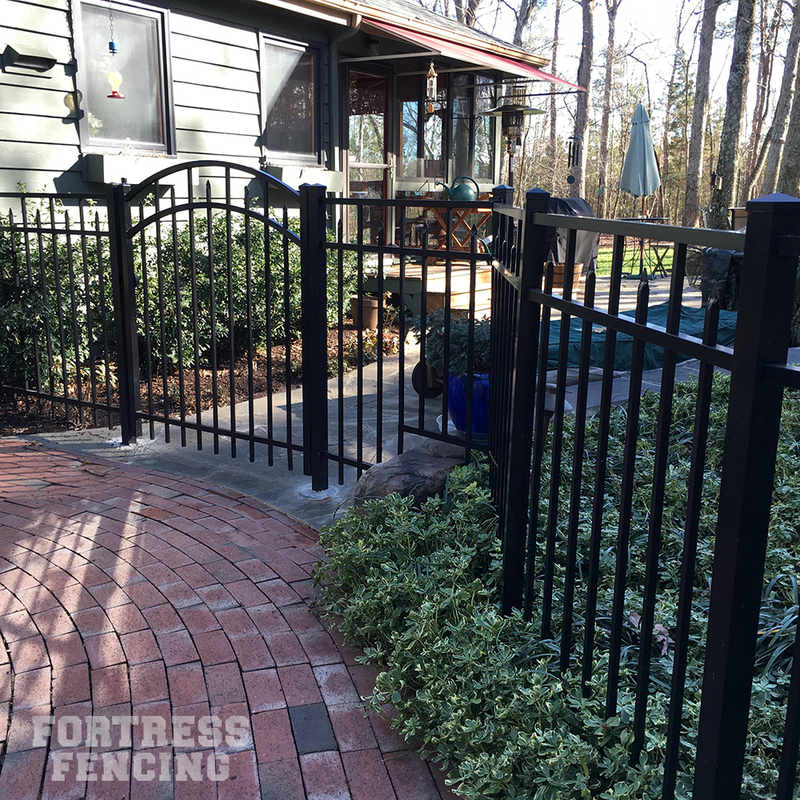 > View more custom fences in our gallery.